Lawrence Stoller: "Gathering of Elders"
Lawrence Stoller is an internationally recognized, award-winning artist. His work can be found in personal art collections, museums, and large-scale art installations throughout this world. Crystal Light and Sound is honored to present some of his beautiful crystals for sale on our website. 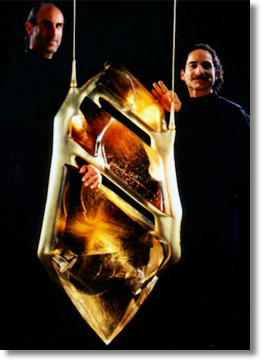 Click here to see Lawrence Stoller crystals. He pioneered the art of sculpting spectacular mega-gems, including several of the largest gemstone sculptures in existence. 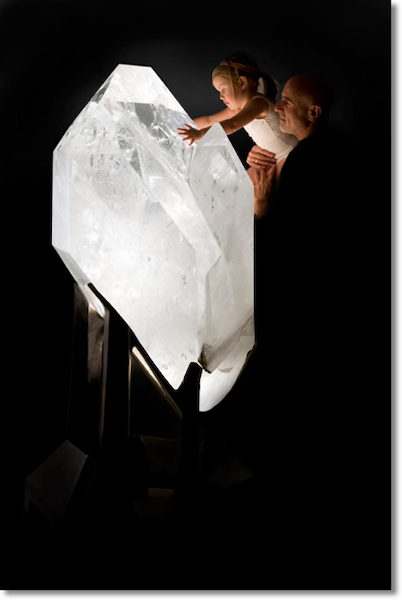 His body of work also includes large and small crystal sculptures, hand-held crystals, crystal pendants, custom furniture and custom sculptures by request. Stoller’s internationally acclaimed work can be found in numerous private art collections. 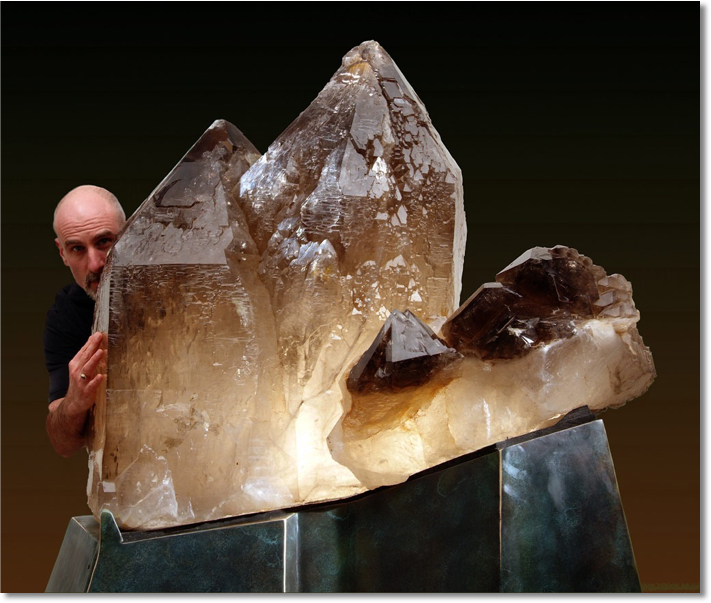 His natural crystal sculptures have been featured in shows and galleries in the United States, from Rodeo Drive in Los Angeles to Fifth Avenue in New York. New York is home o Lawrence’s mega-gem installation as well as many international commercial and public installations. His museum exhibitions include the Furstman Institute of Mineralogy in Moscow, Russia, the Lizzadro Museum of Lapidary Art in Elhurst, Illinois, the Carnegie Museum of Natural History in Pittsburgh, Pennsylvania, and the Los Angeles County Museum of Natural History. Stoller has produced two magnificent art books that illustrate the spectacular scope of his art. "Primal Beauty: The Sculptural Artistry of Crystal Works" and "Frozen LightThe Eternal Beauty of Crystals" include his philosophy of revealing beauty by dancing with the light of ancient crystal gems. “Primal Beauty” was named a finalist in the 30th annual IBPA Benjamin Franklin Award in the category Art & Photography. Each Lawrence Stoller crystal sculpture is a one-of-a-kind piece of art that will stand the test of time as an heirloom collectable. Custom sculptures are available upon request. "We begin a relationship, the crystal and I, committing to the work of finding its highest expression." With the heart of an adventurer, Lawrence has explored numerous nations from the vista of small wooden boats and he’s explored the Tibetan mountains of Mt. Everest. His perpetual search for crystals has taken him to all continents, to mountains, down rivers, into caves, and across deserts in his exploration for magnificent stones. Lawrence Stoller and his wife Sunni live and work near Three Sisters Mountains in Bend, Oregon where they also practice endurance athletics and horsemanship. Lawrence also conducts workshops and seminars on his lapidary techniques and artistic vision. "I have stretched the dimensions of gem cutting, pioneering tools and techniques that have led me to cut many of the worlds largest gem crystals. With these mineralogical treasures I take meticulous care to respect the marvelous symmetry nature has endowed, to reveal undisturbed scenery that formed millions of years ago. Thus preserving a living record of history's frozen light. I work in service of the crystals." In 2003, Lawrence Stoller completed a commission for American Express, creating the centerpiece of the 9/11 “Eleven Tears Memorial”, located across the street from Ground Zero in Manhattan, NYC. 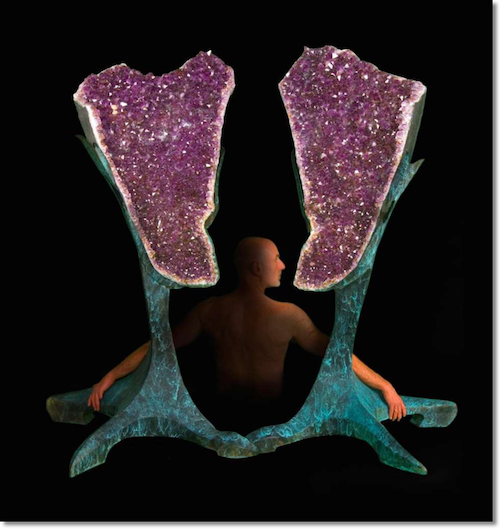 Lawrence Stoller's collaborative work “Bahia”, stands as a cornerstone of the museum collection at the Gemological Institute of America in Carlsbad, CA. 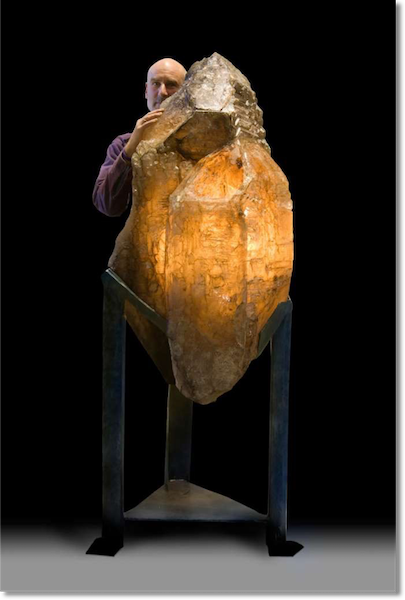 A magnificent 426-pound (nearly 1 mllion carats) rutilated Clear Quartz Crystal sculpture, playfully referred to as ‘the world’s largest pendant’. Each Lawrence Stoller sculpture is a one-of-a-kind piece of art that will stand the test of time as an heirloom collectable. Custom sculptures are available upon request. “Before we begin working, I connect by touching and exploring, examining the history of its worn and broken surfaces peeking inside where its beauty lies still. - His gorgeous book "FROZEN LIGHT, THE ETERNAL BEAUTY OF CRYSTALS"*. Available from a variety of booksellers. *Copyright © 2007 Lawrence Stoller. All rights reserved.